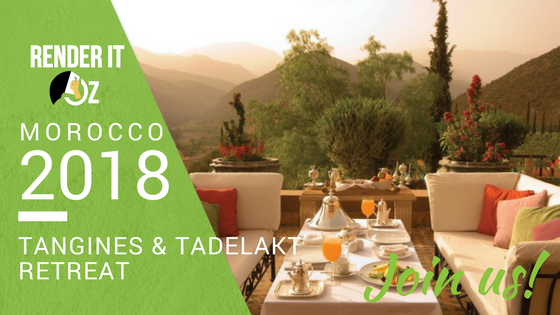 Join us in September 2018 for a week of discovery as we take you to Marrakesh, Morocco to learn the ancient art of Tadelakt. 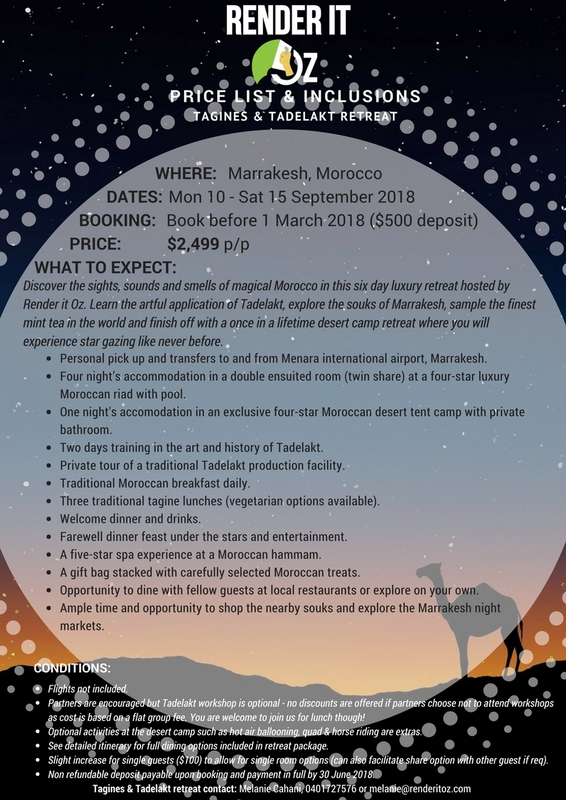 Bring your partner to explore the souks of Marrakesh while you learn about Tadelakt from a Moroccan Malaam (Tadalakt Master). Personal pick up and transfers to and from Menara international airport, Marrakesh. Four night’s accommodation in a double ensuited room (twin share) at a four-star luxury Moroccan riad with pool. One night’s accomodation in an exclusive four-star Moroccan desert tent camp with private bathroom. Two days training in the art and history of Tadelakt. Private our of a traditional Tadelakt production facility. Three traditional tagine lunches (vegetarian options available). Farewell dinner feast under the stars and entertainment. A five-star spa experience at a Moroccan hammam. A gift bag stacked with carefully selected Moroccan treats. Opportunity to dine with fellow guests at local restaurants or explore on your own. 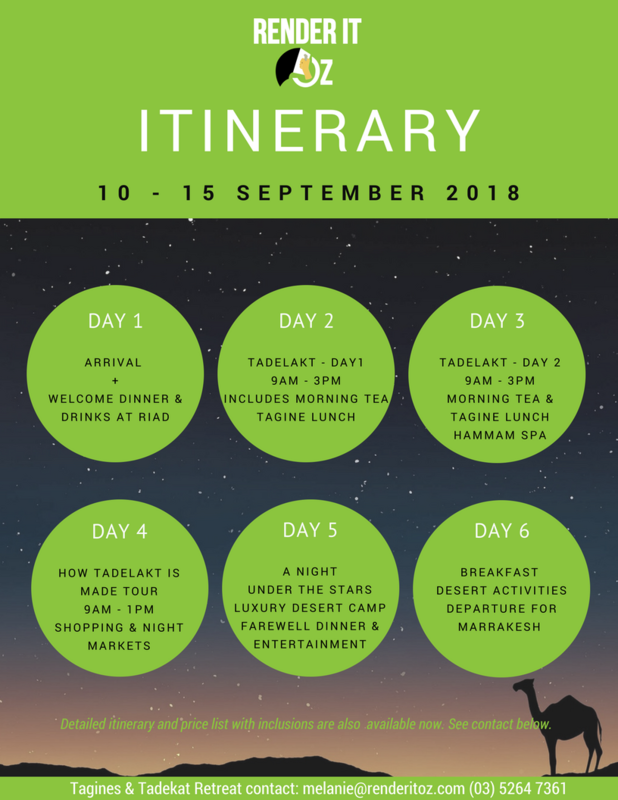 Ample time and opportunity to shop the nearby souks and explore the Marrakesh night markets. To keep it exclusive, intimate and affordable, we aim to provide an experience that only a small group can achieve and are limiting places to the retreat. If you would like a detailed itinerary, please email Melanie@renderitoz.com today for a brochure and prices.